If You're Not Whitening, You're Yellowing. Unfortunately, this is so true. Especially during the holiday season! From hot chocolate to nuts to cookies to candy canes, we munch and crunch our way through the holidays. Yet are we forgetting about all of the photos that will require us to show our pearly whites? Make sure they actually are pearly ... and white. Now you can whiten your teeth at home using a professional whitening treatment. 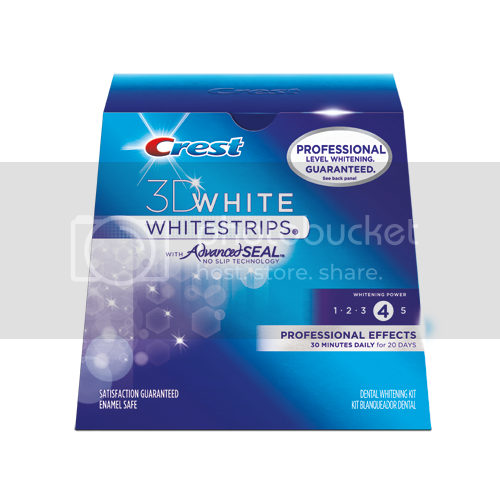 Crest 3D White Professional Effects Whitestrips are just as effective as a treatment from the dentist. These whitestrips are formulated with the same enamel-safe ingredient dentists use. To use, just apply once a day for 30 minutes. You'll start seeing a whiter smile after three days. From the moment I tried my strips, I could tell they were working! I indeed did see very nice results in just a few days. You should use the whole pack of 20 strips and you will achieve full results in just 20 days. I found them very easy to use. They are very sticky so they just stick right on your teeth with no sliding. This also means that you won't get any of the gel on your gums, tongue or anywhere else in your mouth. The whitening gel just stays right where it needs to be. Just leave them on for 30 minutes a day and you are done! 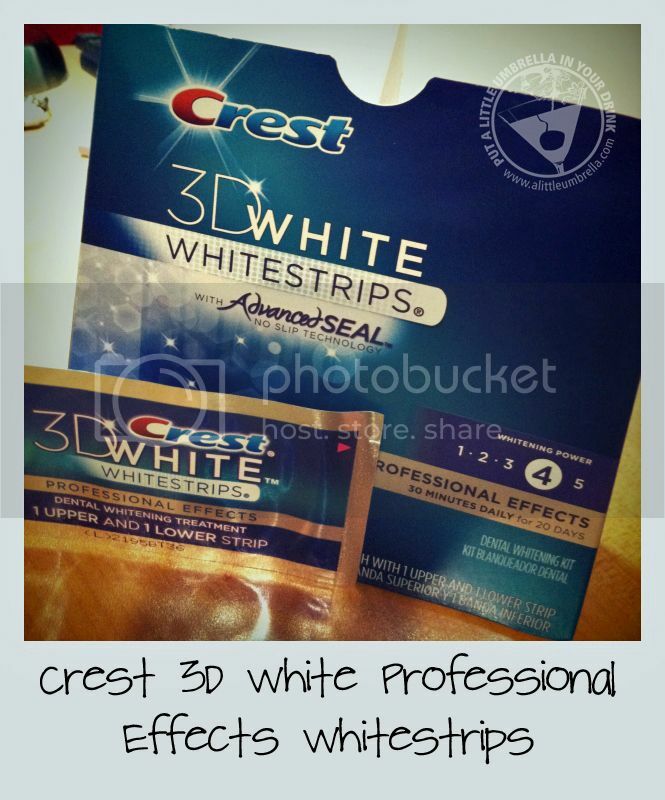 So what can Crest 3D White Professional Effects Whitestrips do for you? You can achieve professional teeth whitening at home. The results last up to 12 months. The Advanced Seal Technology no-slip grip stays put so you can talk and drink water while whitening teeth. They use the same enamel-safe teeth whitening agent dentists use. They rate as a Level 4 whitening on teeth whitening meter. I would highly recommend getting your teeth holiday ready right now! If you start tomorrow, your teeth will be much whiter by the holidays and you will be finished by the New Year! Now that is a resolution that you can keep! Connect :: You can find out more about this product at the Crest 3D White Website. You can also find Crest on Facebook. Buy It :: You can purchase Crest 3D White Whitestrips Professional Effects online or at your favorite retailers like Target or Walgreens. The retail value is $54.99. Disclosure: I did not receive any financial compensation for this post. The opinions expressed in this post are my own and are influenced by no one else. I received this product complimentary from Influenster See my full disclosure. Enter to Win a $250 Amazon Gift Card! Enter to Win a $100 Mia Mariu Gift Certificate! Dazzle Someone on Your Gift List!